Just got my Vantech ION 400W PSU and XFX 6800GT delivered. 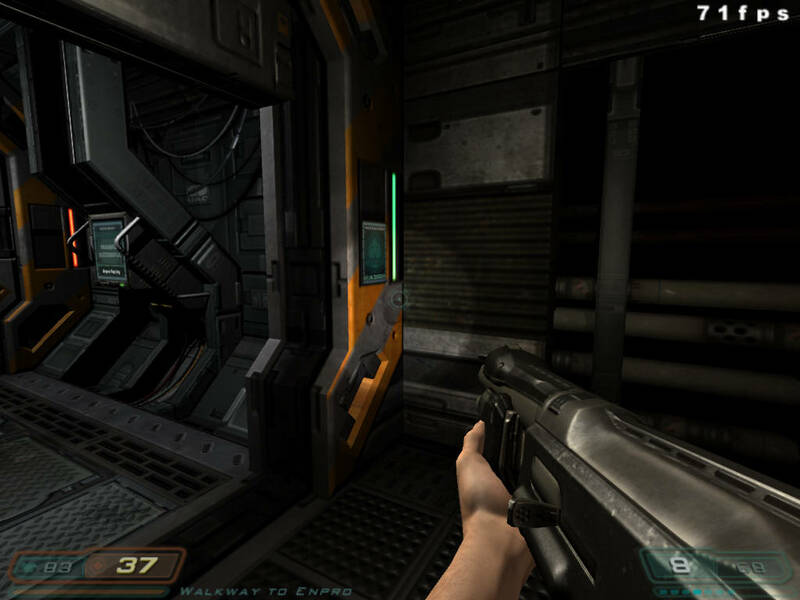 Doom 3 was the only game where I was seeing a difference-120fps at 1024x768 4x aa is a huge leap from the 35fps on the 9600xt. I guess I just got it and need to tweak it, but is it going to make a huge difference? experience tells me no. I modded the card's bios to run at 400mhz gpu / 1.1ghz ram but don't see a real difference. What's the standard performance for a 6800GT? I'd like a hardware card than can transform random amounts of ****ty plot and dialogue into brilliant stories of planescape: torment proportions. That would truly make games better. It's Black. What more do you need to know? what score do you get in 3dmark though? "Well yes but I'm afraid I prematurely shot my wod on what was supposed to be a dry run if you will, so now I'm afraid I have something of a mess on my hands." I'm really disappointed at my predominantly below 60fps speeds. I'll run 3dmark05 and see what I get. Maybe the Nalu tech demo is supposed to play at 20fps? Last edited by mashakos; 11th January, 2005 at 01:20 AM. it definately sounds like something is up, the GT is pretty much one of the fastest cards you can get, about 4X as fast as your 9600XT, did you uninstall the old drivers fully before installing the new card? maybe using driver cleaner to fully get rid of it. what about the agp port speed? im assuming the card goes upto agp8x but what about the motherboard? Your 3DM05 score is on the nail. I get similar scores to a 3200+ CPU, my 3DM05 score is 5500 ish with the Tech Connect 71.24 tweaked driver. 2.9m DIY home made LCD PC projector ! what games other than doom3 and mgs2 have you tried on it? I told Rivatuner to turn my card into a Quadro (CAD version of my card). On reboot, it had installed the original Microsoft Driver that comes with XP. I reinstalled the drivers. A problem I had was seeing ugly pixilated textures when playing Doom 3 in spite of the high framerate. Turns out the textures were pixilated because of this parallax mapping mod I had installed. The wierd thing is, textures were ok before when I was using the 9600xt. 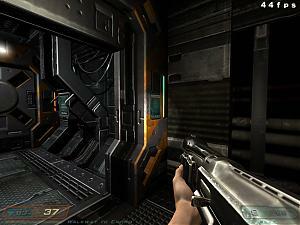 Anybody try parallax mapping in Doom 3 and get the same result? I use that mod and get the same problem. I also had the chance to test on my system one Leadtek 6800 GT and one Leadtek 6600. In 3dmark 05 I had 5031 without overclock with 6800. I think your card is fine. I also had the chance to check how the 6800 was behaving with 4AA and 8AF in Chronicles of Riddick and Doom3 and NFS Under2. No problems whatsoever, frames from 70 up to 120!!! 6800 is a "bad" card. With 6600 I had a problem but I fixed it by enabling VSYNC. I think you should be very happy!!! And about Nalu, it's not a game, if it's running bad so be it, I don't care. Try nalu for 6600 that would go well on your 6800.
hi there , i might aswell say something here seeming that i own a Gainward geforce 6800GT . theres a reg file that you can downloadfrom here i think?? called cool bits for your nvidia card drivers .. went entered into your reg and when you have the driver panel loaded up you should see a unlocked section for tweaking your card. now theres also a test that it does for checking what Mhz itwill run at depending on your ram and CPU. now i dont know much about the AMD platforms but your processor has a impact on how well them cards work. after the test you`ll see what it recomends. and make sure your drivers are the latest too. Sounds like a driver problem to me. I run my ultra version of that card at 1280 x 1024 with AAx4 and AFx8 in all games and it is nice and fast. I use the latest Forceware drivers. Turns out that if you are using an nvidia card and don't uninstall the detonator drivers before replacing it with a different nvidia card, the settings of the old nvidia card remain. I was temporarily using a geforce 4mx before I replaced it with the 6800GT. But I didn't uninstall the detonator drivers. Guess what? The 6800GT was running on geforce 4mx performance!!!!! It's alright now. All that's left is that parallax mapping thing in Doom 3. In case anyone thinks I'm dissing the 6800GT and wants to start flaming! It's not something I've tried or even heard of to be honest. What is it? Ok I found a fix after lots of searching. If you have an ATI card, make sure you have at least Catalyst 4.7 or 4.8. 6800GT users, now you should really try this mod.